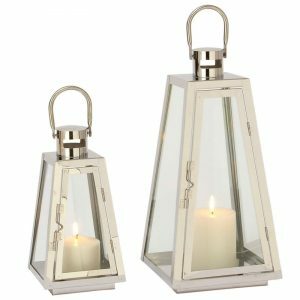 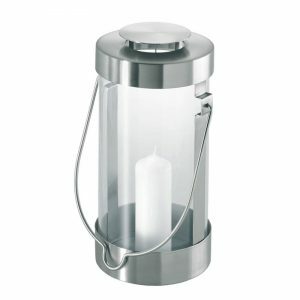 Silver Lantern, Set of 2 - VGGIFT | is a very good gift Supplier. 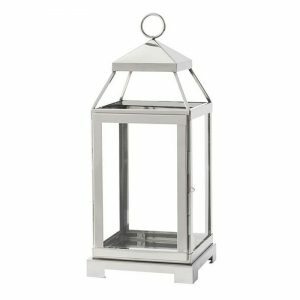 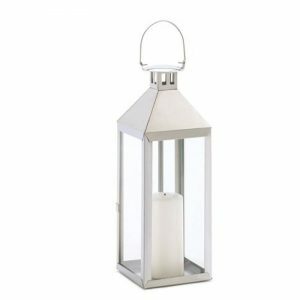 Add a touch of glamour to any setting with these brilliant silver lanterns! 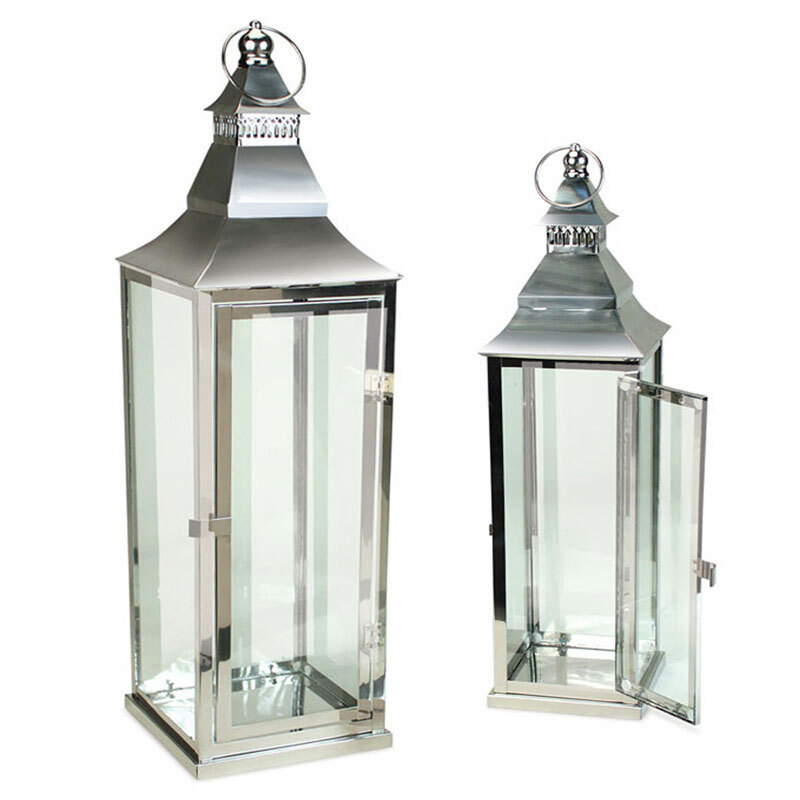 Glass inserts, hinged door and hanging loop.